MSI's most recent kitchen remodel. A beautiful meeting of contemporary and farmhouse styles. 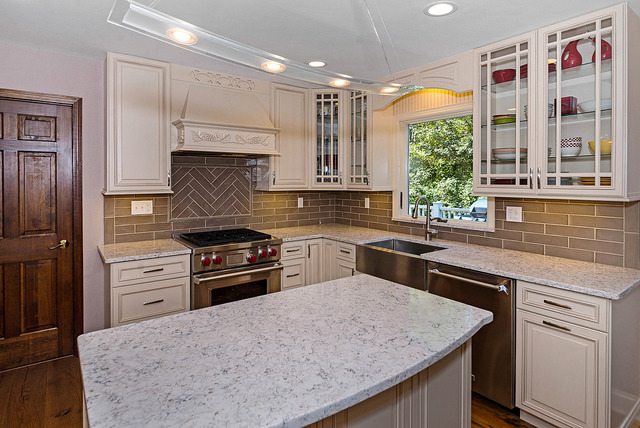 Amazing details in the trim over the oven and a great pop of color from the glass front cabinets.